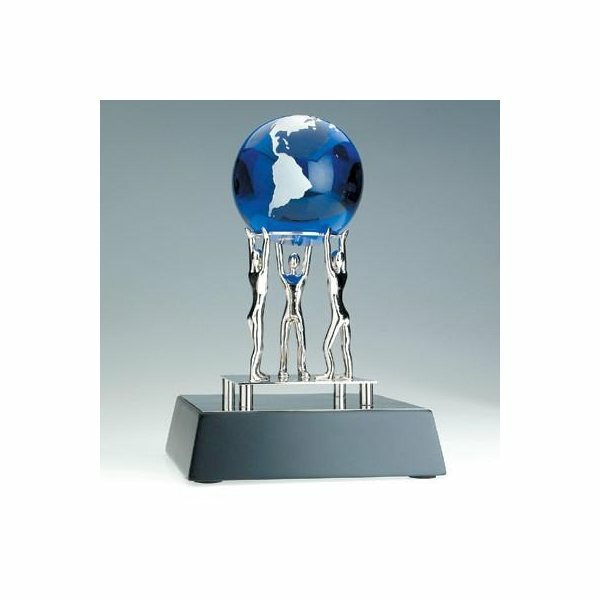 Made of metal figure with blue globe and wooden base. Includes 4" x 1" metal plate. Top quality imprinting. The colors match our logo and everybody loves receiving these as giveaways. they were great, we enjoy using them. Great product, great service. We were very pleased with the overall experience and outcome. the product feels solid, not concerned that it may fall apart or be perceived as "cheap". This is just what we wanted. Great service and the embroidery looked good. Color was the great.